In Malta, a move is taking place to allow civil union of homosexual couples. A question on everyone’s mouth is: “What if gay couples start adopting? What will happen to their children?” This type of question was expected from a population where the Church has a statistical membership of 98% Catholics, thus creating a perception within the majority of the population that they are righteously Christian, even though only around 50% of those 98% are actually practising. Should the civil union law pass, it would make Malta the ninth country in the EU to legalise gay civil unions and adoptions. It seems however, that the public’s response to this law, varies across different factions of the population. A particular Christian group, actually set out to collect a petition against this law. In an interview on the Sunday Times, the Bishop has stated, among other things, that one of the bad side effects of gay adoption, was that children would be subjected to bullying. This hostile attitude is not solely native to the Maltese population. 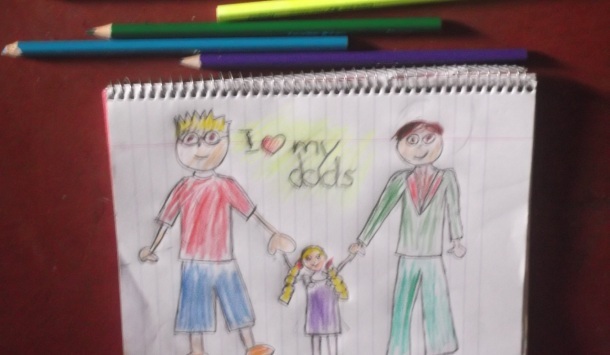 Recently, an article about the reply two gay dads got to the party invitation their daughter sent out, went viral. Let us analyse the Maltese bishop’s argument. Stating that children of gay parents are at risk of bullying is an indirect way of condoning bullying. In reality, young children are not bothered by who the parents of their friends are. The prejudice is taught to them by adults, as shown in the Daily Mail article. All children are born without hate and prejudice, and they are conditioned to develop prejudice as they grow up. Thus, it is the responsibility of a supposedly more mature and knowledgeable society to ensure that these prejudices are eventually culled. Another argument which is often presented by anti-gay adoption lobbyists is that children grow best when there is both a male and a female role in the family. The modern idea of a cereal packet nuclear family is a Social Construct of the Western Society. An exploration into the various non-western communities, e.g. in some Chinese villages and some South American tribes, shows different methods of rearing young children. At the end of the day, each society cares about giving a caring environment for their children. The true ingredients for a good child upbringing are not male and female roles. They are care, love, respect, understanding, discipline, communication, responsibility, and unconditional positive regard. A primary caregiver, who is constant, can give all of these in a much better way than carers in an institution who has a lot of children in their care and whose work changes according to their shift and work policies. What children need is an attachment figure, someone to be a pivotal point in their life. Adoption agencies, are always responsible enough to make sure that the prospective adoptive parents can give a child what he/she needs. Growing up in a homosexual family, does not have any effect on the prospective sexuality of the children. There has been substantial research by various psychological associations such as APA in the USA supporting arguments that children’s sexuality is not influenced by their parents’. Even so, in a society which accepts the presence of homosexuals, this should not be a concern. At the end of the day, everyone has a right to a family and an intimate life. Through allowing homosexual couples to adopt, they are also being given a chance to contribute to society’s well-being, and both the couple and their children are being given a chance for a good quality of life. Tagged ADZ, Gay, Gender and LGBTQ. Bookmark the permalink.